Kids learn about simple animal classification by "filling the houses"! 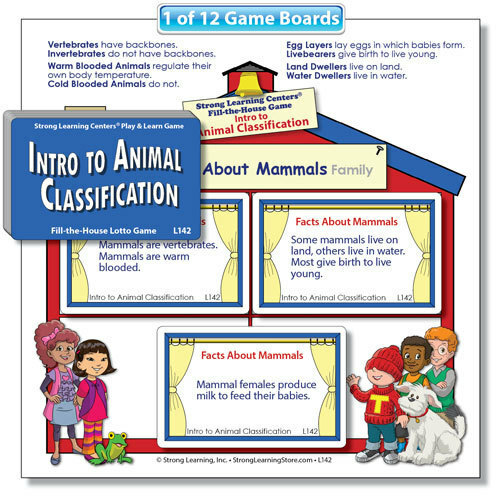 Similar to "bingo" and "lotto," playing the Intro to Animal Classification Fill-the-House Lotto Game is fun to play, and as a bonus, kids learn interesting science facts and concepts about the animal classification. As an introduction, only the most familiar classes and the most common members of the classes are included. Six house boards are Examples of and six house boards are Facts About: Mammals, Reptiles, Fish, Amphibians, Birds, and Arthropods.